The following came as part of a discussion with a former student when he asked me about the Bobrinskoy Orthodox Order of Saint John (OOSJ), The Sovereign Hospitaller Order of Saint John of Jerusalem Knights of Malta, the newer Russian Grand Priory Association of the British Isles, including the "Peter Order" derivative, Sovereign Order of St. John of Jerusalem, Knights Hospitaller. My earlier understanding was that the Russian Order came in the aftermath of the so-called Ostrog case but that in 1810, the council of the Grand Priory of Russia in St Petersburg voted its own dissolution and surrendered most of the regalia and archives. A remarkable burgeoning of chivalric "orders" of all kinds on both sides of the Atlantic began in the late nineteenth century and continued to this day. Particularly in the United States, as in other republics, the government awards decorations for valor and meritorious service but has no legal provision for orders of knighthood as such. Chivalric bodies are treated as private associations, registered as such with the state in which they have headquarters. The most sought-after status for American groups is that of a non-profit, tax-exempt charitable institution. Such status ignores whether or not a body is an authentic chivalrous order. In these circumstances, it is easy to see why there has been indiscriminate use and abuse of the term, an order of knighthood. The founders of such "Orders" are hoping to satisfy the ambitions of those anxious for recognition but whose personal standing or religious affiliation may have made them ineligible for membership in a genuine Order. Many of the members are sincere and respectable people deluded into believing that they were receiving a real "honor" and persuaded that, through their membership. Alongside the officially constituted orders, there thus has been a phenomenon of self-styled orders of St John or of Malta created over the years by an assortment of private individuals. The impulse in most of these cases has been the wish to imitate, and sometimes to impersonate, the Order of Malta. In spite of the fact that the 'coup d'état' by Paul I was never recognized by the Pope, many of these orders nevertheless took on the appellation "of St.John", claiming to be continuations of various alleged offshoots of the Russian Orthodox priory, which, as we have seen, was broken up in the early 1800s. First its property was seized by Russian imperial ukase in 1810 and then in 1817 another decree proscribed the wearing of the insignia of an order which since then never existed in Russia. In fact, starting with Paul I own son and heir to the throne, no support has come for the above mentioned spurious claims from the imperial family of Russia, which always since then recognized the Sovereign Order and no other. From the time of Alexander I, all the Czars except Alexander III held the Grand Cross of Honor and Devotion of the Sovereign Order. More recently this was also exemplified by Prince Nicholas Chalvovich Tchkotoua (Bailiff Grand Cross of Honour and Devotion of the Order of Malta). His successor as head of the imperial house Grand Duchess Maria Wladmirovna, issued on 30 April 2014 a full statement repudiating the supposed Russian descendants and likewise asserting that her house recognizes only the Sovereign Military Orders. Given the above it is questionable when the OOSJ claims that Emperor Alexander I, Emperor Alexander II, Emperor Nicholas II are "protectors" of what is claimed to be the OOSJ lineage. In fact the experts I asked stated that is absolutely not true. Also the OOSJ's mention of Grand Duke Cyril Vladimirovich of Russia as protector according to the only child of Grand Duke Vladimir Kirillovich appears to be untrue. Rather, Grand Duchess Maria Wladmirovna stated: The Russian Orthodox Grand Priory ceased entirely to exist during the reign of Emperor Alexander I. There were some residual hints like the miniature Maltese Cross worn by the graduates of the Corps des Pages academy, which was located in the Vorontsov Palace, which had been confiscated from the Order of Malta in 1810 - none of which constitutes “proof” of an on-going “hidden” or “secret” continuation of the former Orthodox Priory of the Order of Malta. In fact the current protector cited by the OOSJ, Rostislav Rostislavovich of Russia, has absolutely no right to legitimize or recognize the OOSJ as knightly Order. This would be a usurpation of the authority of the Emperor during the monarchy and with the end of the Russian monarchy is without any merit whatsoever. As mentioned below when even Kyrill, and later the Grand Duke Wladimir Kyrillovich, agreed to put the so called Union of Hereditary Commanders in Paris under their protection but *not* as an Order of Chivalry. The OOSJ also claims the protection of the Patriarch of Moscow, who has conferred his patronage as this Order has done some charitable work in Russia, but His Holiness does not claim that this patronage gives any legal validity to the body's claims to be an "Order of Knighthood". The earliest body to make the Russian claim was previously thought to be a group which allegedly registered itself as "Knights of Malta Inc." at Shickshinny, Pennsylvania, around 1908. It was said to have been founded by an American of Russian ancestry, William Lamb, who claimed to be descended from one of the families that had possessed commanderies of 'Jus patronatus' under Paul I. Recent research, however, suggests that this is an invention by Charles Pichel. The earliest independent record is an Incorporation of 1956, in Dover, in the State of Delaware registration 0503716 4100 18th August 1956. Oddly enough the Incorporation of 1956 was enacted by three women; Mary M Lafferty, Jean P Joel and Ruth Biddle. Charles Pichel and his colleagues do not appear as Officers of the Corporation until 30th June 1960. (From the records in the State of Delaware). It appears the Incorporation was an 'off-the-shelf' company, bought by Pichel in 1956. The amendments to register Pichel's name being made four years later in 1960. The large passage fees (alleged in some cases to be in the region of $50,000) collected by the American Association of the Sovereign Military Order of Malta in the early 1950s may well have tempted Charles Pichel to create his own "Sovereign Order of St John of Jerusalem, Knights Hospitaller" in 1956. Pichel avoided the problems of being an imitation of "SMOM" by giving his organization a mythical history by claiming the American organization he led was founded by Russian Hereditary Commanders living in, or visiting, the USA and dated to 1908; a spurious claim, but which nevertheless misled many including some academics. In truth, the foundation of his organization had no connection to the genuine Russian tradition of the Knights Hospitaller. Once created, the attraction of a few exiled Russian nobles into membership of Pichel's "Order" lent some credence to his claims. This organization and others have led to scores of other self-styled Orders. Two offshoots of the Pichel Order were successful in gaining the backing of two exiled Monarchs, the late King Peter II of Yugoslavia (see more below), and King Michael of Romania. In spite of it raking in a large amount of money the founder of the Shickshinny Order was not without its absurdities when Pichel founded a Galactic Powers Task Force and, in 1969, announced that he was forming the "Maltese Cross Legionaries" to combat a secret alliance between the Holy See and the government of Malta to hand the island over to the Soviets. A more substantial claim had previously been advanced by two bodies of émigré Russian noblemen founded in Germany and France in the 1920s, one of which was called the Union of Hereditary Commanders and Knights of the Russian Grand Priory of the Order of St John of Jerusalem. As seen below, the mistake involved in this description was the belief that a family commandery implied hereditary knighthood, when in fact it merely conveyed the right to nominate to such a commandery, the beneficiary is obliged to qualify for the knighthood of the Order in the normal way. Pichel nevertheless began a policy of expansion abroad, which eventually led to his brotherhood's scattering offshoots like a Catherine-wheel. Mentioned below, the Frenchman Paul Granier de Cassagnac, who was using the title of Lieutenant Grand Master from 1960, embarked on a schism two years later, taking most of the members with him, though a minority remained loyal to Pichel. The descendants generated by these two factions are thought to number at least twenty-two in the decades since then, though it is difficult to keep track of them since they consist of gatherings of a few dozen individuals which dissolve when their pretensions are exposed. 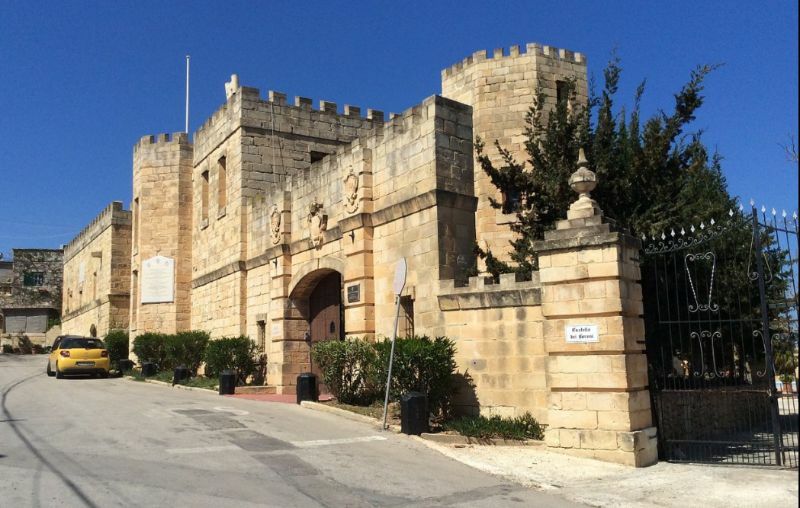 Many of the direct descendants of the Shickshinny Order today do extremely well with one of them housed in its own castle on Malta. Also referred to as The Ecumenical the claim on their website that the Russian Order existed there till 1917 in Russia, a shown below however, seems to be patently false. The above mentioned small group of Russians (Union of Hereditary Commanders) in Paris 1928, who wanted to revive the Russian Grand Priory, understood this perfectly well, which is why they asked the grand master in Rome to revive the grand priory in the late 1920s. The grand master and sovereign council refused because without any capital and no means of raising any it was a pointless organization, aside from not being Catholic. Probably these by now impoverished Russian nobles were looking for something to restore the status they had lost after the 1917 revolution. They looked to the Grand Duke Alexander as a potential "Grand Prior". The Grand Duke unsuccessfully sought recognition from the SMHOM in 1929 but the requirement that membership should be limited to Roman Catholics and that it should be put under the authority of the Grand Master proved unacceptable. Following the Grand Duke's death in 1933 the members of the Union approached the Grand Duke Andrew Wladimirovich to be the new Grand Prior. Both the Grand Duke Kyrill Wladimirovich and later the Grand Duke Wladimir Kyrillovich, his son and successor, agreed to put this body under their protection but not as an Order of Chivalry, purely as a group descended from the members of the former Grand Priory. With the Grand Duke Andrew's death in 1956, direction was taken over by the Secretary-General Georges de Ritcheff as the Grand Duke Wladimir was no longer associated with it. In 1972 this group, already marginalized by the lack of interest on the part of much of the old Russian nobility, renamed itself "The Most Sacred Order of the Orthodox Hospitallers", abandoning the name and cross of Saint John (see also). According to Rev'd Dr. Michael John Foster underneath, the Bobrinskoy OOSJ cannot even (although they do) claim to descend from this latter group. Pichel avoided the problems of being an imitation of "SMOM" by giving his organization a mythical history by claiming the American organization he led was founded by Russian Hereditary Commanders living in, or visiting, the USA and dated to 1908; a spurious claim, but which nevertheless misled many including some academics. Many of the other current self-styled orders including those discussed in this article, derive from Pichel's construct. For example, finding out about the difficulties with the Charles Pichel construct, a leading member of the Pichel Order Harrison Smith suggested on 20 February 1980 to one of Pichel closest associates: "Surely this Scottish Canadian Masonic thesis does not support our foundation, for it only enters our picture in the 1960s. If then we turn back to the Paris movement, which certainly can be proven to have existed, this leads us into both Prince Troubetzkoy and then Prince Andrew of Yugoslavia, as successors to King Peter. The first ties us up with 'hereditary commanders' out of the Paris group, and the latter gives us 'royal foundation'." Thus two offshoots of the Pichel Order were successful in gaining the backing of King Peter II of Yugoslavia. One of these was founded by a certain G. Tonna Barthet with the support of individuals who had split away from Pichel's Shickshinny Order. (see also "Peter Order" charade below). And so what about the real Order of St. John? The Sovereign Military Hospitaller Order of Saint John of Jerusalem of Rhodes and of Malta (Italian: Sovrano Militare Ordine Ospedaliero di San Giovanni di Gerusalemme di Rodi e di Malta), also known as the Sovereign Military Order of Malta (SMOM), Order of Malta or Knights of Malta, is a Roman Catholic lay religious order, traditionally of military, chivalrous, noble nature. It is the world's oldest surviving order of chivalry. The Sovereign Military Order of Malta is headquartered in Rome, Italy, and is widely considered a sovereign subject of international law. The other military orders which once shared the European landscape with that of Malta have either disappeared or changed their status; the Spanish orders became non-religious orders of chivalry in the twentieth century, while the Teutonic Order was converted in 1924 into an order of priests. A military order is one of the six classes of religious order recognized by canon law (the other five being monastic, canons regular, mendicant, hospitaller and clerks regular). These divisions are a recognition of the fact that a variety of activities, including fighting in defense of the Faith, are accepted by the Church as providing the basis for a religious order. It is, therefore, appears to be wrong to think of a military order as some sort of hybrid or anomaly. The error is promoted by the misleading expression sometimes found of "military, religious order," which is as superfluous as if one spoke of a "monastic religious order." The phrase is excusable only as a way of instructing those who do not know that a "military order" is by definition a religious one; it is distinguished from an order of chivalry, which is secular. On the same grounds, it is also an error to speak of the Knights of Malta as monks, as some writers do, in the misconception that the word monastic is equivalent to religious, the proper term for what they mean (monastic and the military are two mutually exclusive classes of a religious order). Finally, it appears to be clear that the word "military" is a technical term in canon law to denote an order of knights since in medieval Latin the word miles came to mean knight. There is, therefore, no need for the apologies of those who confess that the word "military" in the Order's title is today an anachronism since it no longer has a fighting role. Yet the Order of St John can still be said to be an order of knights. By the Statutes of Margat of 1206, the Order was divided into three classes - knights, chaplains, and sergeants-at-arms - whom all took the ordinary religious vows of poverty, chastity, and obedience. All of them likewise bore the title frater used by the professed in religious orders". These dispositions continued unchanged in the eighteenth century. Nevertheless, by that period we need to recognize a wider class of those who wore the Order's cross without belonging to the three classes mentioned. It was quite frequent that a Knight of Justice found himself called to continue his family's line by marrying, and in that case, he was dispensed from his vows (if he had taken them) and was usually allowed to wear the cross of Devotion. The same right was also sometimes granted to noblemen whom the Order wished to honor. These Knights of Devotion were the successors of the confratres of the Middle Ages, and they might be considered similar to the Third Orders of foundations such as the Franciscans, laymen who associated themselves with the spirituality of the religious brethren. however, in some cases the privilege was taken further: in 1645 the hereditary cross of the Order was granted to the family of the Vicomte d' Arpajon, in reward for the assistance he gave to Malta in the War of Candia, and later the same distinction was granted to the Wignacourt family, which gave two Grand Masters to the Order. It would be difficult to view the descendants who held that honor in the same light as religious tertiaries. The cross was also granted to many noble ladies, including in the eighteenth century three abbesses in France who could in no sense be regarded as members of the religious Order of St John. Also, we find the grant of the cross of knighthood to non-Catholics, the first example being to the Russian nobleman Boris Cheremetev as early as 1698. Therefore, the cross of Malta was being bestowed by this time not 'merely as a. mark of religious attachment but as a nobiliary decoration. Other strands of this argument can be drawn from within the Order itself. In the seventeenth century, the Grand Masters were granted the right to promote sergeants-at-arms, for special merits, to the new class of Knights of Grace (the number of these being limited to four at a time). The knights who were thus admitted were not being received as religious, for they were that already; they were being granted a knightly rank to which they had no right by birth. Also in the seventeenth century Knights of Minority began to be admitted; they were recognized as Knights of Malta from the time that their proofs of nobility were accepted, but they did not become religious until they came to the Convent. One needs to say, therefore, that by the eighteenth century the Order of Malta had developed a secondary character, that of a secular order of chivalry", One may link that character to the Grand Master's status as a sovereign prince, which gave him the right to confer secular knighthood, as well as other titles of nobility. Such a view makes it possible to justify two historical developments which otherwise seem aberrations. One could say that the Protestant Bailiwick of Brandenburg was restored to unity with the Order of St John in its capacity as an order of chivalry, not as a religious order; and the same would be true of the Orthodox Grand Priory of Russia founded by Paul I in 1798. Both those appendages disappeared in the next few years. In the two centuries since then, the proportion of the Order of Malta formed by the religious has sharply declined, while the honorary knights have greatly increased. Despite that alteration of balance, the Grand Masters and professed members have kept the determination to preserve the religious core of the Order, and there is no sign that that will change; in fact, the number of professed knights nowadays shows an encouraging increase. Yet it is worth noting that if the Order of Malta ever ceased to be a religious order there is no reason why it should not continue as an order of chivalry, and its Grand Master as a sovereign prince, since these are privileges which have accrued to the Order in the course of its long history and have developed a right additional to that of its religious foundation. Also, the argument that because they lost Malta the Order did not continue to exist is faulty. In fact, where the Sovereign Military Hospitaller Order of Saint John of Jerusalem of Rhodes and of Malta, the Sovereign Military Order of Malta, was founded by Pope Paschal II's bull on February 15, 1113, the Order did not acquire Malta until 23 Mar 1530. Also, the argument that because after Grand Master Tommasi the order for a while functioned based on the leadership of Lieutenants and thus the argument that because there was no Grand Master the order might be considered (like the OOSJ and other such self-invented Orders claim) to therefore not have existed is faulty. For example also during the period from 1951 to 1962, there was a complete vacancy in the Grand Mastership, yet this does not have an effect on the continuation of the Order. Dijkhof’s text is beyond me how it was accepted as a Ph.D. thesis – I suppose because none of these examiners at Leyden university knew anything about the subject. I do not have time to write a rebuttal and, frankly, Dijkhof’s thesis is so easily dismantled and his claims as matters as of fact so easily dismissed that no-one with any knowledge of this rather particular history would give it any consideration. There is nothing of original interest in his study of the Order before the late 18th century (although he does not understand the status of institutions operating as subjects of canon law) and then it frequently dissolves into fantasy. In fact, despite the dire captivity to which he was reduced, Pius VI could not bring himself to recognize a schismatic as head of a Catholic religious order. He temporized, and when he finally wrote to Monsignor Lorenzo Litta in Russia on 11 March 1799 disapproving of the election, he authorized him to delay communicating the decision to the Czar. But an indiscretion brought the letter to Paul's ears, and his response was immediate. Lorenzo’s brother, the Bali Giulio Litta was dismissed as Lieutenant (his place in the imperial favor had already raised against him a cabal of Russian magnates, led by Count Fedor Rostopchin) and his brother the nuncio Lorenzo Litta was told to leave St Petersburg. Paul also dismissed the Pope’s ambassador in Russia, as he was determined to defend the legitimacy of his new title and rejected the Pope’s disapproval. It is clear that Dijkhof does not understand that the office of Grand Master has a dual function – thus, Paul could be elected Grand Master and act de facto as such admitting knights, but what he could not do and the Holy See never in any way recognized him as being able to do, was to receive or delegate the reception of professed knights of Justice, since he was neither Catholic nor celibate so could not himself act in the capacity of religious superior. This is very basic, but apparently either never understood by Dijkhof or deliberately ignored. Neither does he understand that while the Order’s composition changed during the Revolutionary and Napoleonic periods, its status as a subject of canon law did not change – in canon law an institution remains valid as long as it has professed members properly received and for 100 years after the death of the last such professed member. The Order never ceased to have professed members properly received, and even if there were no new professions between 1798 and 1802 – this did not matter at all. The Order did not cease to exist just because Paul was de facto grand master, nor did it lose its status because it was governed by Lieutenant grand masters. The professed knights are and where the heart of the Order and make it the Catholic religious Order that it was and that it remains. His assertion that it is not and never was a religious Order is simply preposterous. As for his claim that the Protestant Bailiwick of Brandenburg remained part of the Order, that is clearly wrong since although the Johanniter knights periodically sent responsions to Malta, and Frederick the Great and Pinto both wanted it to be somehow reintegrated, the Holy See refused and so it did not happen. The Johanniter was dissolved in 1810 without the Lieutenant or the Order’s government having any say in the matter, and it was reformed as Prussian Royal Order of Merit in 1812, only being restored as an Hospitaller Order in 1852. The fact that there was a small handful of knights who had been received before 1810 gave the Johanniter continuity, but it did not make it part of a wider, supposedly ecumenical Order. It is also incorrect to write that the Order assented to the separation of the Spanish priories. The real issue with Spain was that the Spanish knights had assisted the French under Napoleon in the capture of Malta, in return for a promise by the French that they would help recover Minorcan that had been re-occupied by the British in 1798. Spain needed the revenues from the Spanish priories, and in 1808 when Joseph Napoleon became King of Spain they were dissolved. In 1814, they were restored but under the Spanish Crown and then later converted into a state merit Order until the 1880s when they were once again reformed and restored as part of the SMOM. Dijkhof’s recitation is simply wrong and easily shown to be. He claims that canon law allows for several Orders of St John. This is absolute nonsense – there cannot be several Benedictine Orders, for example, or Dominicans. Using “estoppal” in the context he does is rather inexcusable. The Pope was a prisoner of the French and, of course, was not in a position to say very much about anything – what he never did, however, was recognize Paul as Grand master. Equally, it is quite obvious that Emperor Alexander I could undo anything done by his father and to argue otherwise is nonsense. Dijkhof claims the “original Order was dissolved” without any evidence of such a bizarre claim – and completely contrary to canon law. In his argument for so-called “hereditary commanderies” he ignores the fact that a commandery was real property, not a title, and also that to take possession of a commandery whether by succession or otherwise, one had to have been received as a qualified member. The Russian Priory statutes (ignored by Dijkhof), require two years of military service, etc. to qualify. Sherbowitz and Toumanoff do not admit that anyone was a hereditary knight – in that this suggests knighthood in the Order could be inherited. It could not; would-be knights who were the sons of knights had to fulfil the same requirements as any other knight. And Russia’s Emperor Paul I, was not the only “Protector” of the Order – this title was accorded several European sovereigns, not least the King of Sicily who was feudal overlord of Malta and Gozo. The fact that the British and Prussian Crowns founded their Orders of St John, which are not religious institutions, is entirely irrelevant to the status of Emperor Paul. The Dutch and Swedish Orders split off from the German as a result of the Second World War. In actuality, the SMOM did not recognize these Orders until 1961 when they all signed an agreement to counter the self-styled Orders. Dijkhof refers to dispensations from celibacy – there had been knights of devotion since even before the 16th century who did not make the religious promises. These, however, could not hold commanderies nor any office in the Orders administration. This is again entirely irrelevant to the case of the supposed Russian survival. I also asked Peter Kurrild-Klitgaard and apparently agreeing with the above he added: "Dijkhof’s work is very poor and can only have passed as a thesis because so few people know anything about these matters." Kurrild-Klitgaard is the author of “Knights of Fantasy: An Overview, History, and Critique of the Self-styled 'Orders' Called 'of Saint John' Or 'of Malta', in Denmark and other Nordic Countries” (2002). A well-researched paper by Yves Drolet citing Dijkhof dissertation as a "dissenting view" concluded that it is now generally accepted that the Russian-American Priory of the Order of Malta was a hoax. Reference is here the exiled King Peter II of Yugoslavia who went to live in the USA where since 1962 until his death he served as the Royal Patron of the self-styled Knights Templar Order founded by Fabré-Palaprat. To be clear, all the current self-styled OSJ's are spit offs from earlier self-styled OSJ's and in the case of King Peter's involvement started with the above mentioned Charles Pichel fraud. The "charade" then started when Paul de Granier de Cassagnac, the Prior of France had become the Lieutenant Grand Master of the Pichel group; he had aspirations to become the Grand Master. Thus in October 1960, an election was arranged. With half the votes in and a favorable return, Cassagnac issued orders to Pichel to prepare the seals and other equipment for shipment to France. The result went against Cassagnac, but Cassagnac's actions had angered Pichel who sought to remove him from Office. Cassagnac then was able to gain the support of another member of the Pichel group at the time, the above exiled King Peter II of Yugoslavia. Thus next the so-called "King Peter Constitution" of 1964, came to be framed for the Cassagnac Order. Less than a year later, in January 1965, King Peter opposed Cassagnac and with the help of a member of the Cassagnac Order, Gaston Tonna-Barthet (a marketing executive with a British company which had a branch in Malta) created his own Order as a schismatic break-away from the Cassagnac Order. By the late 1960s some groups, including the group organized by Charles Pichel's Shickshinny group, joined with King Peter’s organization. The King Peter Constitution that was none. The reality is that the fons honorum (constitution) provided by the King, would only apply to those, to whom the King intended it to apply, and post-1965, this would be with the group he led as Grand Master. With his death, the matter became academic, especially as the King's son, and Head of the Yugoslavian Royal House, eschewed any support for the continuing Orders, which operated in the King's name. Following an awkward meeting between the King and the Cardinal Archbishop of New York, also, the King ordered that the word "Sovereign" be dropped from the name and his title was changed from "Grand Master" to "Royal Head", as he wished to distance himself from the increasingly embarrassing feuds between members of his "Saint John Order". Prince Serge Troubetzkoy (formerly “Prior" of the Pichel-Shickshinny group) now became "Lieutenant Grand Master" in succession to Prince Belosselsky-Belozersky and a new dispute emerged over the use of the word "Sovereign," leading ultimately to a major breach between various factions. In an attempt to settle this it was proposed that the name is changed to the "Royal Yugoslavian Order of St John" (a move approved by the King in mid-1969) but this merely led to further division, as Prince Troubetzkoy refused to accept the name change, resigning and ultimately setting up his own group. However, since the Yugoslav Monarchy was bound by the pre-war constitution which required an act of the King to be signed by the "responsible Minister", King Peter did not have the legal power (meaningless since he was permanently exiled) to unilaterally give his protection to an "Order of Chivalry" or assume its "Grand Magistery". In June 1970 King Peter's principal aide-de-camp, General Melitchovitch, stated that the King had completely broken all connection with every so-called "Order of Saint John" and confirmed that any "protection" that he may have extended to such organizations was permanently revoked. In a letter from G. Markovitch (ADC to Crown Prince Alexander) to Dr. Giles Lamoureux-Gadoury, dated 14 October 1985, the former specifically denounced the so-called Yugoslavian Orders, affirming that the late King had broken all association with these groups before his death. The unfortunate King having contracted a serious kidney ailment then spent two months in hospital, leading ultimately to his death on 3 November, during which period he was frequently visited by the representatives of various rumps of his "Order", several of whom were later to claim that they alone represented the legitimate continuation of the group he had founded. Following King Peter's death, his youngest brother, the late Prince Andrew, assumed the status of Protector of one successor of this group (see below) before himself falling out with them and forming an association with Tonna-Barthet. A confusing and semi-literate "notice" by the "Order of Saint John of Jerusalem + Knights Hospitaller+ Under Royal Charter of H.M. King Peter II of Yugoslavia/ Patron: H.R.H. Prince Karl-Vladimir Karageorgevich", dated April 12th, 1995 apparently heralded yet another breach in the organization. Any Yugoslavian connection with these groups purportedly under the protection of the late King Peter has been once again disavowed and condemned by the present Head of the Karageorgevich family, Crown Prince Alexander of Yugoslavia, in a February 1992 letter addressed to the Episcopalian Bishop of San Francisco. This reads (in part) "....As the only son and heir of His Majesty the late King Peter II ... I can state categorically that none of the various bodies claiming to function under a "Charter" purportedly granted by my late father have any validity. I have repeatedly made it clear that I do not recognize them and, as Head of the Royal House, I alone have the authority to grant such recognition. ....... I do not recognize the validity of any "Charter" purportedly issued to organizations misusing the name "Order of Saint John." Furthermore, junior members of the Royal House of Yugoslavia do not have any legal right to act in the name of the Royal House". Copies of this letter were sent to H.R.H. the Duke of Gloucester, Grand Prior of Saint John, His Grace the Archbishop of Canterbury, and the Most Rev Bishop Edmond Browning, Presiding Episcopalian Bishop. In a letter to this author dated January 27th, 1992, Crown Prince Alexander wrote "the whole affair was a sad period in my late father's life ..... unfortunately my late uncle, Prince Andrej, picked up the pieces upon my father's death and got deeply involved. In the end, the false orders ... probably contributed to his most untimely death ..... Out of respect to Prince Andrej, I recognize the title of his wife as Princess Eva Marie. As head of the Serb and Yugoslav Royal Family and future King, I do not recognize or authorize the use of any connections to my dynasty by these orders set up in the United States and Belgium. .... Prince Andrej's son is acting without my permission, and I am not pleased". The Sovereign Order of St. John of Jerusalem, Knights Hospitaller with its headquarters in Vancouver Canada split from a that time headquarter in Brussels, the latter which was initiated by Prince Andrej with the intent for it to be an international charity. What earlier happened is that sometime late 1986, or early 1987, Prince Andrej declared Tonna Barthet to be expelled from the Order. Those in support of Tonna Barthet sought to declare Prince Andrej election as Grand Master to be void. On the 25th/26th May 1987, a meeting (claiming to be a Sovereign Council meeting) was held whereby a group of Knights sought a coup d'état against Prince Andrej. The person at the center of this drama, Tonna Barthet died some days before the meeting was held. After the death of Prince Andrej on May 6th, 1990, a Regency Council was set up in Brussels to cover the duties of the Grand Master. 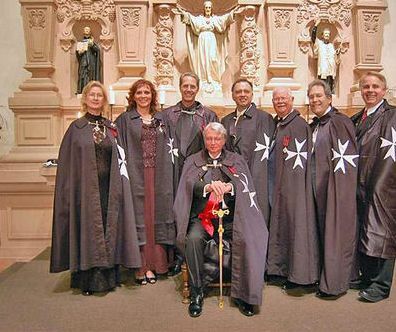 It is from this group in Belgium that the Sovereign Order of St. John of Jerusalem, Knights Hospitaller split off when the Vancouver group appointed Robert G Brodie as Lieutenant Grand Master (next followed by Grand Master David Rolfe). The final breach came on the 31st December 1998, when the Vancouver group was excluded formally from the OSJ Belgian Royal Charter. The Vancouver group also attempted a "unification" and the establishment of a "European Regency" which is essentially a reconciliation of Charles Pichel affiliated groups. In July 1999, the OSJ Belgian Royal Charter Belgium allied with an Order led by Count Nicholas Bobrinskoy claiming to have succeeded the Paris Group of Russian Hereditary Commanders (which as we will see below was not the case). Meanwhile, the group in Vancouver still holds on to the above mentioned King Peter Constitution. "Today’s Sovereign Order is based on the 1964 Constitution of King Peter II of Yugoslavia." For a history of the 1964 creation see also here. 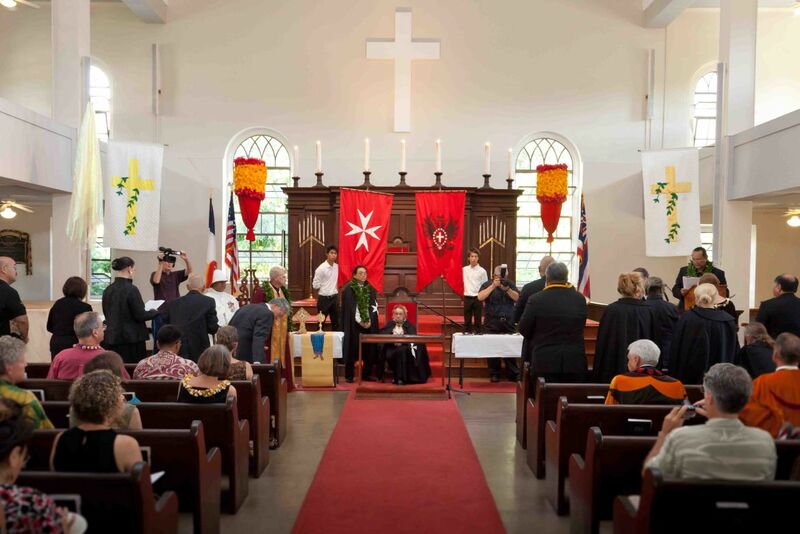 Similar to the OOSJ they also claim that; "Our branch, the Sovereign Order of St. John of Jerusalem, Knights Hospitaller, descends from the ecumenical Order that was established by Russian Tsar Paul I, who became Sovereign Protector and Grand Master with the approval of the Pope." As we have seen above this is not true that Paul I became Grand Master with the approval of the Pope, more on that in a next article which will present the historical evidence that is conveniently ignored by the self-styled orders we just discussed. The Bobrinskoy Orthodox Order of St. John (OOSJ which as seen above produces its own invented history), was created in 1977. What the leaders of these self-styled orders lack is the legal right of fons honorum. Some organizations like the OOSJ thus have provided some sort of false fons honorum to satisfy the need. Thus the founder, count Bobrinskoy, claimed he inherited the title of Hereditary Commander (whereby even if that were true in this case it would have no value) from his brother - even though his brother had a son. Initially, Count Nicholas Bobrinskoy joined the 'Order' led by Robert Khimchiachvili from Ohio. Despite claiming to have given $600,000 to an appeal for Nicaragua (for which no evidence was produced), "Prince Robert" later denied under oath that his organization gave any money to charity. "Prince Robert" was associated with the above "Peter Order" the logo of which until 1987 headed "Prince Robert's" stationery. Within a month of joining Brancovan Count Nicholas Bobrinskoy next also joined the Peter Order (which as we have seen was an offshoot of Pichel’s Shickshinny order) and then together with some members of the latter group split off to start his own organization. The correspondence of (the above mentioned) Prince Troubetzkoy states, that the State of New York Count Nicholas Bobrinskoy, was recruited into the ex-King Peter Order as led by Prince Sergei Troubetzkoy, and is listed as the Prior of a New York Priory in 1972. In 1977 then Bobrinskoy incorporated his own the "The Sovereign Order of the Orthodox Knights Hospitaller of Saint John of Jerusalem" as a revival of the Russian Grand Priory, shortly afterward, according to Troubetzkoy, resigning from the group Troubetzkoy led. When initially trying to do research on the Bobrinskoy OOSJ one frequently ends up with information on the website with the lofty title "The Russian Grand Priory Association of the British Isles." When I asked the leading author of the latter website, Rev'd Dr. Michael John Foster answered: Yes our group in England was part of the Bobrinskoy Order. In undertaking historical research, I discovered that the Bobrinskoy Order was never a continuation of the Parish Group of 1928. Having examined a large number of relevant documents(2) Michael Foster details that Count Nicholas Bobrinskoy, rather than having had a relationship the historic Russian Grand Priory, joined some self-styled Orders. And that: "Of the 11 founders of the Bobrinskoy OOSJ listed in the names given on an OOSJ information sheet issued in 1998, 9 are confirmed as being members of one of the so-called 'Orders' emerging from the King Peter Order. This confirmation is found in lists given by Robert Formhals, Prince Sergei Troubetzkoy, the King Peter Grand Priory of Malta, and the Sovereign Council minutes, of the 'Order' concerned. This means that 82% of the founding members appear to have belonged to the ex-King Peter Order as led by Prince Sergei Troubetzkoy - providing strong evidence to suggest that the Bobrinskoy group at its foundation was a repackaged King Peter Order." According to Guy Stair Sainty (author of “The Self–Styled Orders of Saint John,”), Nicholas Bobrinskoy was involved with above mentioned Tonna-Barthet creation (that came to be led by Troubetzkoy) to which he donated several hundred US dollars in the mid-1970's. Rev. Michael Foster concludes that: It seems that so long as there is not a valid claimant occupying the post, any Russian Noble who is in some way connected to a Hereditary Commander's line (even without a direct line) can count as a Hereditary Commander. Certainly without this methodology (which appears to have no basis in Russian law), the OOSJ would be forced to concede that there was not a meeting of Hereditary Commanders. And Guy Stair Sainty when asked by me added: Count Nicholas Bobrinskoy was never a Hereditary Commander, as that dignity passed to his elder brother the first born, and then potentially on to his elder brother's son. He claimed he inherited the title from his brother - even though his brother had a son. As this discussion further shows of course is that the whole issue about 20th century so-called Russian Hereditary Commander’s as we shall see underneath is, in itself, faulty. About Bobrinskoy see also Volume 2, of "the World Orders of Knighthood and Merit" published by Burke's Peerage & Gentry 2006, where the Bobrinkskoy Order is covered in detail - pages 2032-2035, (25) Sovereign Order of the Orthodox Knights Hospitaller". Similar to the research conclusions of Rev. Michael Foster also here it states that Nicholas Bobrinskoy first joined the "Order" as led by Brancovan Badische, then by a faction of the King Peter Order (after the King died) led by Prince Troubetzkoy. In 1977, Bobrinskoy split from Troubetzkoy to form his new Order. Soon the Bobrinskoy Order would also see a defection in form of the split off organization SMOKH led by Charles McWilliams. The Dachia Order is listed by the Australian Government as a self-styled Order of St. John. According to Rev'd Michael Foster whose organization after breaking way from the Bobrinskoy OOSJ decided to align itself with Dacia wrote: "After more than a decade of being isolated, Dacia sought to regain international contact, and accepting the claims of the King Peter Order, as being part of the same pedigree as Dacia, contact was made in 1985, with the so-called 'Russian Grand Priory of Malta' (King Peter Constitution) under their Grand Prior, Gaston Tonna-Barthet. This contact was brought to an end in October 2001, with Dacia's association with the Bobrinskoy Order (founded by those of whom the leading members had been members of an ex-King Peter Order, but claiming that it had succeeded the Paris Group). " This association resulted from the acceptance of the claims of the "Sovereign Order of Orthodox Knights Hospitaller St John of Jerusalem" led by Count Nicholas Bobrinskoy, (his deceased older half brother having been a member of the Paris Group), to be a genuine continuation of the Paris Group. Likewise this was brought to an end by 2005, on the realisation that the Bobrinskoy Order had not in fact legally succeeded the Paris Group." As for the new English Order, created by Alexandre Tissot Demidoff apparently with the help of Rev'd Michael John Foster it seems that the initial idea was to form a new Union of Descendants. According to Guy Stair Sainty(3) it was proposed to him, that they would not pretend to be an Order or make knights – that proved false so Sainty; within less than a year this body was already investing “Knights” and giving out crosses. For this Demidoff and Foster rely on the above Danish Dachia Order, which in turn refers to papers by Professor Baron Michael de-Taube. The latter is known an activist whose post-revolutionary life was dedicated to sustaining the idea that the grand priory had survived, but without actually having access to the key documents. Taube is also explicitly contradicting earlier statements. In the 1938/39 (when he was already secretary of the Paris group) he wrote explicitly that he Russian Grand Priory had disappeared; in the 1950s, he supposedly stated that it had survived. This is, at least, odd and somewhat suspicious. Also, when the Dachia, and new British Order, refer to the 1810 Ukase, in article1, it already clearly states: “no new appointments are to be added”. The existing members who had been paid from the Order’s property were to be paid from the state treasury but only those existing members. The state now wanted the money to go to the Treasury instead of to the Order in Italy – what is interesting is that the responsions from the Russian Grand Priories were paid to the Lieutentant’s administration until 1810. The commanderies (who could only exist under the statutes as endowed properties) had either to pay the entire revenues all at once (1/3rd of the capital) to the state treasury which would permit the property to return to the family (and the end of the Commandery) or go on paying annually until they died at which point the Commandery would revert to the family. Either way, once they reverted to the family they ceased to be commanderies of the Order and the pretence that these were hereditary titles is demonstrably untenable. The statement that these funds were to be used to pay the expenses of the Order did not mean that they all were – in fact; these expenses were minimal and involved primarily keeping the records of the winding down of the commanderies, etc. No admissions were made after 1811, and there is not a shred of evidence to support the suggestion that there were. The Russian archives have been gone through with a tooth comb. And what is mentioned above in reference to the thesis of Hoegen Dijkhof is also valid here. Emperor Paul’s son seems to have no interest in his father’s pipe dream of a Russian base on Malta, which they and their governments considered completely unrealistic. A handful of individuals who descended from the founders of family commanderies (not “hereditary”), obtained permission to wear the badge of the Order from the second half of the 19th century until the last years of the empire – but this was not any revival of the Order. They were not and never could be “hereditary” members. The best comparison would be with those people who wear their parents’ or spouses decorations at ceremonies on the right side, rather than the left. This is legitimate, of course, when used appropriately. The British Dachia related group; however, seems to think the Order was like a merit award with some functions added on. But the functions and the funding for them were essential co-elements. The Order ceased to exist in those countries where the Orders funds were confiscated during the Napoleonic period – as it did, for example, in England where with the confiscation of the estates of the grand priory of England it was impossible to receive new English knights – the Order’s structure prior to the later 19th century reorganisation required that each Langue was responsible for its members and an English knight, for example, could not be granted an Italian commandery. The reform of 1810-11 did not deprive any knight of either their membership or title. The same had happened in Prussia with the Bailiwick of Brandenburg of the Protestant Johanniter Order – the property was taken (to pay for the Napoleonic wars, as in Russia) and the Order suppressed in that case, but those who were knights remained such and, indeed, the membership of the few surviving knights living when the Bailiwick was restored in 1852 allowed it to claim continuity as they were automatically enrolled in the re-foundation. There is no listing of the Grand Priories as part of the Chancery of Orders or any other form of existence in the imperial almanacks, and those so-called “hereditary commanders” who asked and received permission to wear the cross did so not as members of any Order or Grand Priory but rather like people wear their parents decorations at public ceremonies today. As for 1817 there was only one Order, not two, but two grand priories – at no time did the Emperor claim there were two separate Orders. The whole point of Paul’s grand mastership was to have a grand priory that was part of the Order for his nobility, even though non-Catholic. The pretense otherwise is specious and dishonest. The Emperor did not have the power to abolish or suppress the Order anyway, nor even (de jure, although he could de facto) the Russian grand priories; Alexander had clearly and specifically recognized the grand mastership of Tomassi (for which both Russian grand priories had voted) and then the lieutenancy in Sicily. As there was only one Order, and as the Russians recognized it without reservation, all he could do was deprive the grand priories of their funds and prevent them from sending any funds to Sicily – the Lieutenant was very disappointed, needless to say, as they needed these funds and were perfectly happy to go on having Russian members. This is all quite obvious. One Order, with numerous grand priories, etc. of which two were Russian. The French Republic could not abolish the Order; it could only confiscate the estates and suppress the grand priories of France. No more could Emperor Alexander and neither did he have the will or intention. He just needed the money, as did the King of Prussia. Alexander had no desire to punish those Russian nobles who had qualified for the Order and given it material wealth. But he needed the funds and Paul’s original purpose – to gain a foothold in the Mediterranean was quite obviously never going to be achieved as Malta was securely under British rule. What the new British Order does not list are the statutes of the Russian Grand Priories, which required that all candidate, including the heirs to family commanderies, serve two years in the military, etc. These requirements could not be fulfilled in the post-Imperial Russian world and that alone makes the continuity (and indeed original purpose of Paul’s foundation) impossible. Grand Duke Wladimir’s daughter, Grand Duchess Maria Wladmirovna commented on the same by posting the following. It states among others that "the Russian Orthodox Grand Priory, it existed only for a few years and ceased entirely to exist during the reign of Emperor Alexander I. There were some residual hints in court ceremonies of a “Maltese” presence in Russia, including the red liveries at the Imperial Court and the miniature Maltese Cross worn by the graduates of the Corps des Pages academy, which was located in the Vorontsov Palace, which had been confiscated from the Order of Malta in 1810 - none of which constitutes “proof” of an on-going “hidden” or “secret” continuation of the former Orthodox Priory of the Order of Malta. Some writers who attempt to make a case for the continuation of the Order of Malta in Russia fail to distinguish between the Commander’s Cross of the Order of Malta and the Prussian Order “Pour le Mérite.” They present photographs of Emperor Alexander II wearing the “Pour le Mérite” as proof of their fantastical theories of the "continuation of the Russian Orthodox Grand Priory“-Alexander II, who was the only emperor after Paul I who was not a member of the Order of Malta! A Public Policy Statement from the Council of Ministers, affirmed by the Emperor and dated January 20, 1817, clearly states that the Order of Malta “does not exist in Russia” [PSZ, № 26626]." In fact, there is no evidence at all that Grand Duke Alexander was ever told by Grand Duke Kyrill to re-found the Grand Priory – they were not, in fact, on particularly good terms. 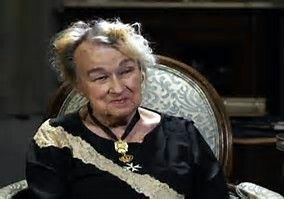 The Grand Duke’s wife was the sister of Emperor Nicholas II and her mother, the Dowager Empress, was furious that Kyrill proclaimed himself Emperor in 1924 – she always wanted to believe her son and grandchildren had survived. To this one can ad that the so-called Grand Duke Wladimir Kyrillovich (as seen mentioned by this new British Order) was not a Grand Duke. To be a Grand Duke under the imperial law meant that you were the son or grandson of a Tsar, which was not the case here. And ads: The original Russian grand priory for non-Catholic subjects did have some Catholic members, as it happens and like the Catholic grand priory it was part of the Order governed by the Grand Master and then by the Lieutenant Grand Masters. That is why it participated in the election of Tommasi, and that is why Emperor Alexander I recognised Tommasi as Grand Master and returned the archives and regalia of the Order to him. The two Russian grand priories were both part of the Order, even though the non-Catholic grand priory was an “irregular” part. However their constitution was dependent on their capital foundation and once that ceased to exist, they could no longer exist either. That is why the grand priories of France, etc. all ceased to exist when their funds were confiscated in the revolution – the existing knights, of course, continued to be knights of the Order and after the French restoration formed a new organisation which the French government duly recognised as being under the authority of the Lieutenant Grand Master. The surviving grand priories in Italy, Austria and Bohemia, all have substantial assets. The SMOM can, of course, establish associations of knights anywhere it pleases unless prohibited by some local, national law. There have been numerous requests by Russian offering very large sums of money for a revival of the Russian grand prior, but the Order has always refused because of the lack of qualified candidates for membership. The various Russian nobles who wanted to revive the grand priory in the late 1920s were looking for something to restore the status they had lost after the revolution. At least, they were gentlemen. As for the people who join today's self-invented Russian grand priories the motives might be mixed, but it is clear that they would probably not qualify for membership in either the Sovereign Military Order of Malta or the German, Dutch or Swedish Orders of Saint John (the Johanniter Orders) or for the British Most Venerable Order. Thus otherwise they would never attain the high-sounding ranks they claim for themselves in these multiple “revivals”. This also relates to the English Dacia related Order created by Alexandre Tissot Demidoff and Rev'd Michael John Foster, and brings us back and confirms what is also mentioned in the above section "And so what about the real Order of St. John?" "It is unclear to me whether the Catholic SMOM is actually the same as the 'Order of St John' There are 'orders of St John' which are embraced and directed by the Church of England as well as other religious bodies. As Festing was dismissed as leader of the SMOM Catholics.. but no mention is made of the Order of St John.. such may indicate the SMOM Catholics are is falsely claiming that humanitarian actions under the banner 'Order of St John can be credited to the SMOM." To clarify matters more in detail, I will next post a more in-depth case study about how Malta was lost and how the Russian usurpation developed. Followed by a case study expanding on the re-organizing issue Professor Emanuel Buttigieg hinted at with "the Papacy called the remnants of the Order to settle in Rome in the 1830s to begin the process of re-organizing." And as a third follow up in reference to the above somewhat misunderstood notion "There are 'orders of St John' which are embraced and directed by the Church of England" I will try to investigate the foundation history of the National Associations of the Order in England and Germany. 7 Dec. 2017: Following an earlier remark about Festing at the end of the discussion here, there is in fact a historical precedent in the form of an even more severe dispute that more significantly gave rise to a vacancy in the Grand Mastership from 1951 to 1962 (which Roger Peyrefitte's famous novel wrongfully attributed to a grain deal). Vatican's opposition to the Order of Malta. 1) The reference here is to three items that were originally treasures of the Byzantine Church and remained in Russia. These were the icon our lady of Philermo, an alleged piece of the true cross, and the alleged right arm of St. John the Baptist. (I write "alleged" because while I do not deny the historical significance of these pieces there are of course discussions, for example, I myself viewed another such alleged "right arm" in the Topkapi museum in Istanbul, plus see also.) The latter two items were initially given to Grand Master Aubusson by the Sultan Bajazet in 1484 from the treasury of Constantinople. And the painting of "Our Lady of All Graces" (also sometimes referred to as Our Lady of Philerme) which was held in a church in the hill-top town of what is now called Filermo in the middle of the island. The icon was brought into the city of Rhodes during both the great sieges of 1480 and 1522 when the intercession of Our Lady was held to have preserved the city from capture. All three sacred objects accompanied the Grand Master Villiers de l'Isle Adam in his travels after the fall of Rhodes and were brought by him to Malta and together with Hompesh then landed in Russia. After the death of Paul I as soon the Pope made Tommasi Grandmaster of the Order of Malta Marshal Soltykoff, on hearing the news, immediately handed over his powers and sent from St Petersburg the magistral regalia which had been created by Paul I (they are now in the Magistral Palace in Rome, forming a memento of a bizarre interlude in the Order's past). The three Byzantine era items, however, remained in Russia from where the Dowager Empress Maria Feodorovna took them to her native Denmark. At her death in 1928 they were passed on to the royal family of Yugoslavia, one of the few Greek Orthodox dynasties then ruling. After they were annexed by Tito their whereabouts remained unknown for half a century. Their vicissitudes were the inspiration for the missing "Maltese Falcon" in Dashiell Hammett's novel, published in 1929. The rediscovery after the fall of Communism was the work of the Australian SMOM Knight of Justice Fra Richard Divall who collaborated with Prince Wilhelm of Liechtenstein, who after being left a widower became a Knight of Justice and Grand Prior of Austria. Thus it was found out that the piece of the true Cross and the hand of St John were in the monastery of St Peter in Cetinje; and that the icon of Our Lady of Filermo was held in the treasury of the State Museum in the town itself. Thus in March 2004, SMOM Grand Master Andrew Bertie lead a pilgrimage of the Order to Montenegro. Since all three objects were originally treasures of the Byzantine Church the Order of Malta recognized that it would not be fitting to reclaim them, although it has made clear its willingness to help in their preservation and restoration. Today they are accessible to any who wish to visit these objects. -The letters of Prince Sergei Troubetzkoy to Dr John Grady. Prince Sergei Troubetzkoy wrote a series of letters to Dr John Grady (Grand Master of a traditional Catholic Order of St John which broke from the Pichel Order in the 1980s) in the period 1983 to 2001. These letters mention Troubetzkoy's relationship with Count Nicholas Bobrinskoy and provide information on the foundation of the Bobrinskoy Order. They are held in the archives of the Grady Order. Sacred Military Order of Constantine of Saint George, 1976. The Orders of Chivalry and Merit of the Bourbon Two Sicilies Dynasty, a historical survey with the statutes and recent documents, 1989. The Orders of Saint John, 1991. World Orders of Knighthood and Merit, 2006. A major two volume work.